Very special cabin backing the National Forest with views of Pinewood Golf Course. Cabin sits on a .99 Acre lot, 3 nNice sized bedrooms, 2 baths, Wood burning Fireplace, Vaulted ceilings, Great room, upgraded kitchen, dumb waiter, wood flooring and covered front Deck. There is a 2 car garage plus ample parking. Cabin is located on a private road maintained by homeowners. Very Special property. 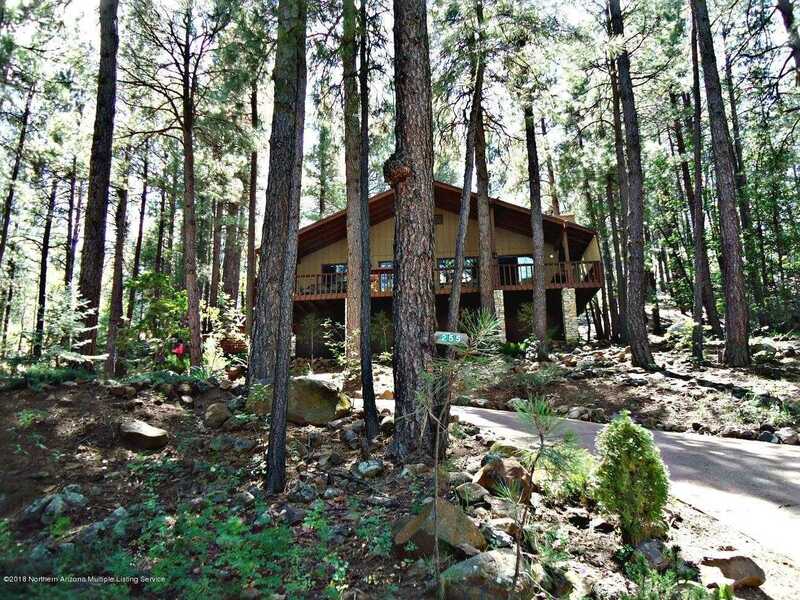 I would like to schedule a showing appointment for this property: MLS# 176902 – $525,000 – 255 E Navajo Road, Munds Park, AZ 86017.